So apologies for being a little bit AWOL recently everything has been getting a little bit on top of me and I've just not had the time to take photos and then sit and edit those and then write a post. However I think I'm on top of it and I am hopefully back for good I have however made the decision to cut my posts down to three a week and then on a Wednesday I'll be sharing my most recent video with you all. I don't think I've mentioned properly on my blog that I actually finally got round to launching my youtube channel at the end of last year. So today as a post to settle me in I thought I would just let you know and leave you with my latest video to give a quick watch. I really hope you enjoy the video and if you have any videos you would like to see let me know. Apologies for the lack of my This week post last week, I'm currently trying to balance work, college, blogging, youtube and doing things that are interest enough to put in a this week post. This week I've been on a massive attempt to chill out a little bit and I have been absolutely loving colouring. I've also finally got round to giving my makeup collection a little clear out and I'm finally happy with how my dressing table looks. This week also saw the release of panic at the disco's new album which awoke my inner Y9 my favourite song is currently Don't threaten me with a good time. This week also saw the first snowfall of the year but by the time I got round to trying to take some pictures it was pretty much gone. I also made my final cheeky little makeup order from Illamasqua before I start my spending ban next week so expect a post on those soon! So recently after seeing a post from the lovely Krystal Marie I decided to send her over a message as I've been thinking about making myself a media kit for ages however me being the technophobe I am I had no idea how to go about it. Krystal is currently offering a free Blog kit template over on her blog //here// she also offers a fully customised two page blog kit like mine for just $20. However if you aren't such a technophobe today I thought I would share with you all the things I think you should be putting in your blog kit! So first off on the first page I'd suggest popping all your social media links and a little bit about your blog including your average pages views and a little bit about your blog. I also included how many times I post a week. On page two I'd suggest speaking about your previous work experience and the opportunities that you are willing to offer on your blog. I'd also suggest making sure there are lots of images from your previous blog posts and a picture of yourself. Overall however I'd definitely suggest that you keep the information clear but short as you want to keep people interested. Do you have a media kit? What do you include in yours? These are two products that I've had on my wishlist for such a long time and I finally got round to picking them up when feel unique had 10% off all Urban decay products and damn am I glad I did. They are both such lovely comfortable products to wear on the face and I feel like even though I'm really loving them now I'm going to love them even more in the summer. So starting off with the foundation it is the most lightweight foundation I have ever worn. I picked up the shade 0.5 which is the lightest in the range and I still think it's a little dark for my current super pale skin tone. It's a lovely medium coverage which has the most beautiful glowy healthy finish, I've been wearing it when I want something a little lighter than my Nars sheer glow. In terms of lasting power I've found that it doesn't settle into any dry patches and last about 6 hours before it starts to disappear on my nose but everywhere else on my face I can get a good 8 hours wear out of it. Moving on to the concealer even though I love the foundation I'd have to say the concealer is my favourite out of the two. It's such a lovely coverage however it doesn't look cakey on blemishes and it doesn't fall into any lines under the eyes. Again the shade is a little darker than I would like however it will be fine once I get a little bit of a tan (I feel like this is definitely wish full thinking) However I think the thing I love the most about it is the applicator. The shape of it is perfect for making sure you get it into any creases in your face. I also love the fact that the applicator collects enough product to do under both my eyes and on any redness and blemishes (Small thing hey small things) I find lasting power wise it stays put all day without any setting which is just incredible as I like having to not worry about my concealer creasing or disappearing . Overall I am so impressed with these products. Have you tried them I'd love to know your thoughts! 5 Interesting facts about yourself. My first trip without my parents to London with my best friend. It was so much fun and I absolutely love the city, I really hope to get back soon! How did your passion for all things blog related start? I read a lot of different blogs and followed bloggers through social media and it seemed like so much fun, to be able to write about things you love and meeting people who are likeminded. Do you feel like the Blogging scene has changed since you started? I feel like the blogger scene has grown a lot and so many brands seem to appreciate that bloggers are actually the best way to promote their products which I love to see! Current most lusted after item? I don´t have a specific item but I really want to try stuff from Nars and Charlotte Tilbury. So unless you've been living under a rock recently you'll have probably heard everyone talking about the Flamingo candles melt crowd box. For £10 a month you receive 8 wax tarts. I personally really love this idea and this is my second box and I'm just as impressed as I was with my first. I think it's a brilliant way to try out new scents which you wouldn't typically pick out so without further ado lets talk about what's inside. I'm going to end on a high note so I'm going to mention the only one I do not like first Whiskey it's a very heavy intense scent when I opened the box it was all I could smell. It smells very similar to whiskey without that alcoholic scent to it. The rest of the melts in the box I really like Crystal mountain water and Pink denim are really fresh scents which I would have in no way picked out usually however I am really loving them, Baby powder does what it says on the tin and it literally smells so similar to baby powder I'm kind of amazed. Cinnamon and Mandarin is a beautiful warm cinnamon scent with a little bit of a sweetness to it from the mandarin. I do feel like if you have trouble with candles giving you headaches this one is likely to cause you trouble. Also from the BARE range is Orange and lemongrass which is just the most beautiful fresh citrusy scent. It is just so perfect for after a little bit a cleaning spree. Finally we have the two sweeter scents in the box, in my opinion coconut is much more like vanilla coconut and is an incredibly sweet scent. Although I do really love it I feel like I'm probably only going to be able to burn it for a very short amount of time. So the final scent in this box is Strawberry jam which smells identical to the Body shop strawberry scent which is one of my all time favourites. I cannot wait to burn this one and it will definitely the first one I burn out of this eight. Do you get this subscription box? I'd love to know your opinions. I've been wanting to give the Makeup geek shadows a go since they first starting doing the rounds in the blogosphere. However I've been holding off but I finally broke and made a rather large order. The problem is now I am so in love with the shadows. The quality is second to none. They are buttery, blendable and extremely pigmented. Shimma shimma is a beautiful pale champagne shade with a metallic finish I think out of the eight shades I went for this is the one I've the most. It makes a lovely brow bone and inner corner highlight but I also like to use it for a little wash of colour over the lid and pair it with a little bit of liner. Peach Smoothie is a matte shade, it's a pale peach shade which makes a lovely all over the lid shade. It's a very warm shade and I love to pair it with one of the other warm matte shades I picked up. Glamorous is a coppery warm gold with a metallic finish. It's one of those perfect one swipe shades which settles a little darker in the crease. It's such a lovely warm shade and I absolutely love the warm tones with my blue eyes. Cosmopolitan is a beautiful mix of rose gold and orange again it's another metallic shade it works brilliantly as a base to create a rose gold smokey eye. It's got such a stunning gold sheen to it and although I haven't worn it yet I'm very much looking forward to using it. Purely Naked is a warm light brown shade with very subtle silver shimmer in it. Again it's one of those perfect subtle all over the lid shades which I like to wear paired with a slightly darker warm brown shade. Frappe once again it's another warm brown shade (are you sensing a theme) This one is probably the warmest shade I picked out and it looks absolutely stunning in the crease paired with Peach smoothie. Latte is a pretty neutral dark sandy brown it's completely matte. It makes a lovely basic transition shade for super dark brown smokey eyes but it also makes a lovely basic crease colour. Mocha is the final shade I ordered as I felt like I needed a dark shade, it's just a very basic matte dark brown shade. Have you tried any makeup geek shadows I'd love for you to let me know what your favourite shades are? Hey Guys so today I've got the first post in my The blogger behind series. Today I'm talking to the lovely Jordan from Jordan Courtney. 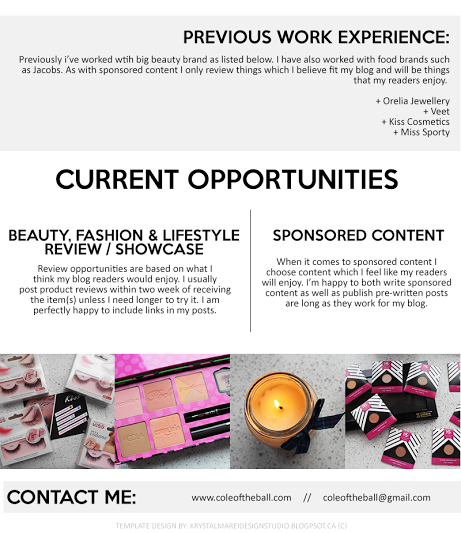 I hope you enjoy these posts, if your a blogger and are interested in getting involved leave me a comment with your email address and I'll get back to you! My name is Jordan and I’m 20 years old (soon to be 21). I Live in England and I run the blog www.jordancourtney.co.uk which very simply is named after myself. I blog about a variety of things from food to beauty and even my personal life and anxiety. These type of questions are always the hardest to answer I think! Definitely made harder by the fact I’m possibly the least interesting person ever. 1. I used to have my tongue pierced. 2. I‘ve only ever visited 3 countries. 3. I find it really hard to tell people ‘interesting’ things about myself. 4. I hate to sleep without socks! 5. I can’t actually swim. My favourite 2015 memory has to be being invited to the #WrenFamilyFavourites event and meeting Linda Barker! I’m still in shock! My favourite all-time memory is probably when me and my family stayed in Anaheim for a few days when we went to America - we had Dennys every day for breakfast and Disney California Adventure was so amazing! How did your passion for blog related things start? When I first started my blog I was certain it was to only be about beauty. I was in the ‘I want to be a beauty blogger' mindset and this was inspired by all the lovely beauty bloggers I loved to read. However, as I settled into my blog I realised I had a passion for much more than that - I love the lifestyle posts as I like to have something personal to look back on and my food posts started from one recipe post which turned out well and got good feedback! Halloween: Cheesy Guacamole Lanterns - because of the photography (I really love the bright autumn colours) and the lovely feedback I got from the company! #WrenFamilyFavourites with Linda Barker - because I know this is a post I am going to look back on in the future and smile at the amazing opportunity. Paris - because this is the post which started my blogging journey and I really love the images! Technically, my first ever blog post was published 19th April 2014 but I didn’t actually get fully into blogging (i.e. being consistent etc) until December 2014. I love the community! I love the Twitter interaction (for example in chats), I love the comments people leave on my posts and I love the events where you get to meet and chat to fellow bloggers. 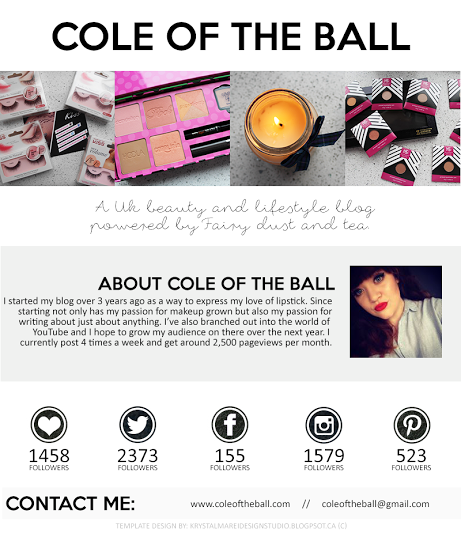 When I first started blogging I feel like it was only just coming out to be something that was seen as normal. Prior to this lots of people would laugh if you wrote a blog or made Youtube videos and you’d be called a weirdo. Recently it’s become more the norm and I love that. The Urban Decay ft. Gwen Stefani is top of my wish list at the moment! I am shocking at applying eyeshadow but this palette is just so gorgeous! I hate spending money on myself though. Rebecca - http://www.fromroses.co.uk/blog - I swear I’ve told her way too many times she probably thinks I’m so weird but I really do love everything about her blog! Kathryn - http://www.chaptersofkat.co.uk - I don’t think I have ever read a blog post of Kathryn's and disliked it. Such a lovely genuine person too! Becky - http://www.milkbubbletea.com - I’m not sure how I stumbled across Becky’s blog but I am sure it was one of the first I followed. Her photos are always so beautiful! 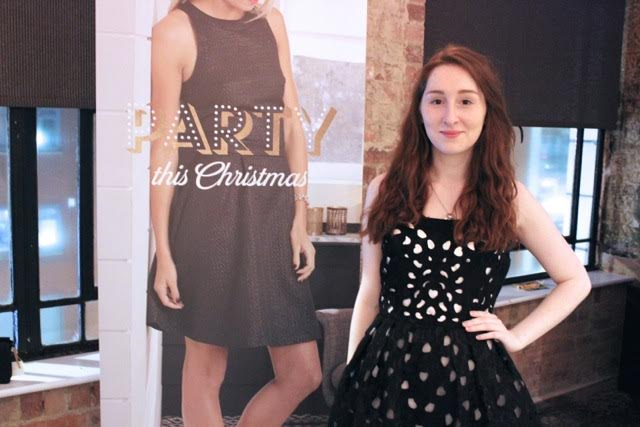 I actually wrote a blog post on my 2016 goals as I’m hoping this will motivate me a bit more! 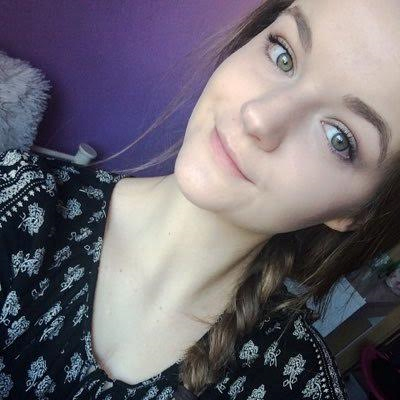 This year I would love to be able to pay off my credit card, get a new job and then finally a blog related one, I would love to be able to reach a few social media goals! So the first half of this week involved me spending a hell of a lot of time in my dressing gown and relishing in my last couple of days of holidays. I also managed to end up in A&E on the 1st of January after I tried to break my foot. This week also welcomed the launch of my youtube channel which I am definitely excited about that so expect a new video every Wednesday. This week I also made a big Makeup geek order and finally got to try their shadows which I am in love with so expect a very positive review soon! I hope you all had a lovely week let me know what you've been up too this week. I couldn't not do a post about this palette as I literally haven't put it down since I opened it on Christmas day. I know it isn't still available however I know that Benefit brought one of these cheek palettes out last year so it's likely there will be another one for Christmas 2016. All the products can also be bought separately so I decided I would put up a post about it. So the palette contains 4 boxed blushes, there bronzer, a highlight and the They're real liner and mascara. Before receiving this I had only tried the Sugarbomb blush in a little set and I am going to be honest I wasn't overly fussed by it. However I am so impressed with all four of these including Sugarbomb. Out of the four Rockateur is my favourite shade, it's a beautiful deep dusky pink with a stunning gold sheen to it and I absolutely cannot wait to wear it with a tan. Coralista is your basic orangey coral shade with lots of gold sheen in it. Again I feel like this one will be one I reach for a lot in the summer with lots of bronzer. Dandelion is the most perfect natural blush shade, it's a very light baby pink shade with tiny particles of silver shimmer. this is definitely a good one for if the rest of your makeup is quite heavy. Sugarbomb is a peachy shade it has a lot more pink and is significantly lighter than Coralista however I would put them in the same kind of colour family. Hoola is something that I have really been loving it's the perfect all over bronze shade with no shimmer. I also find that it's cool enough to contour with if I use a light hand. However I do definitely prefer it for all over bronzing. Watts up was something that I wasn't sure how I'd feel about however I really do love it. Bar Benefit high beam I tend to avoid cream highlighters as I find they just move my makeup about however I really do love it. It leaves the most gorgeous gold-y sheen on the cheeks and again I think it will look even more stunning when I'm tanned. If you are a regular reader you will know that They're real is my favourite mascara ever so I was so excited to give the liner a go however I'm just not sure about it I feel like the applicator is just a bit of a gimmick. The formula is absolutely brilliant and it managed to hold up whilst I cooked Christmas dinner with my mum but I just can't be doing with how much of a faff it is to apply. I really hope that they bring it out in a pot form! Left to Right - Dandelion, Rockateur, Sugarbomb, Hoola, Coralista and watts up. So that's it for today's post I really hope you enjoyed this review! Have you got one of the Benefit cheek palettes? Happy new year guys and welcome to my first post of 2016, for todays post I thought I would share a super neutral makeup look with you. Now don't get me wrong I love a good smokey eye and contour as much as the next gal but sometimes I just like to tone it down a little so today I thought I would how you how I do that. So I finally got round to purchasing the new formulation of the L'Oreal true match foundation which I'm still undecided on I feel like it's a little more natural and watery than the original but at the same time I think it's a little more drying. Clever me forgot to photograph my concealer but I've been using the Maybelline Super stay better skin concealer under my eyes and on any redness or blemishes. Then for my cheeks I like to use a little bit of the Maxfactor Miracle touch cream blush in soft pink to add a little colour to my face. Then to finish off I've been popping a little bit of Benefit high beam on the tops of my cheeks bones. In terms of eyes I've been keeping it super natural, a sweep of the Urban decay primer potion to prime a little Bourjois Colour edition 24hr eyeshadow in petale de glace and then a sweep of Benefit They're real and I've been leaving it at that. Finally to finish it off for my Brows I've been using the Maybelline brow satin and setting that in place with the Benefit Gimme brow. So that's my current natural makeup routine I'd love to know what products you use when you're keeping your makeup natural.